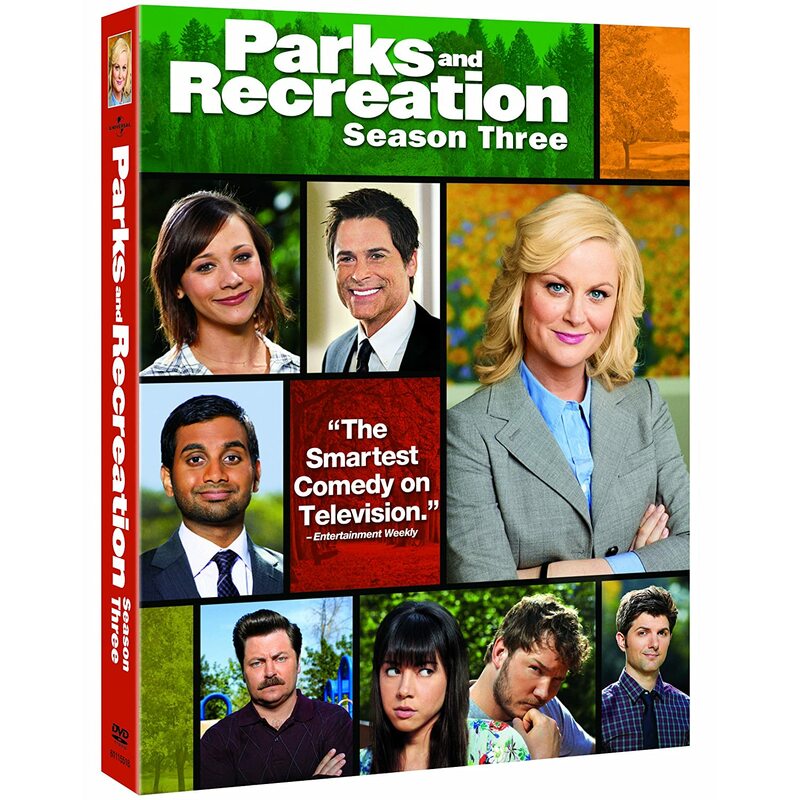 Quick Take: Parks and Recreation, "The Debate"
Review: Parks and Recreation, "The Debate"
(S0419) I was a little hard on Parks and Rec in my review of last week's episode. I complained that the campaign story arc was commandeering screen time that could otherwise be used to further develop these characters we all love so much. "The show's focus on Leslie's (Amy Poehler)... City Counsel campaign has lead to some missed opportunities to simply hang out with our Pawnee peeps. The seemingly never-ending campaign has caused the writers to pay short shrift to potentially awesome character moments," I wrote. While I still stand by this critique, I have to admit that it may have been a tad shortsighted. In the future when I think back on Season Four, chances are I won't remember the (somewhat) tedious middle section of the season. I'll remember "The Debate." Memory is funny like that. You tend to remember the good times and filter out the rest. In my head, college was all beer pong and barbecues. It's easy to forget all of those depressing nights alone in the dorms watching marathons of The Sopranos on a 17-inch TV. For months the show has been building toward this point, and now that it has come, I've come to realize that it's all been worth it. If "The Debate" -- which was written and directed by Amy Pohler -- isn't the best episode Parks and Rec has done, it has to be in the top five. The highly anticipated debate finds Leslie facing off not only with Bobby Newport (Paul Rudd), but with three other City Council contenders as well. Brandi Maxxx (Mara Marini) is a Leslie Knope doppelganger who happens to earn a living in the adult film industry. Manrico Della Rosa is an over the top animal rights crusader. And my personal favorite, of course, is Fester Trim (Brad Leland, Buddy Garrity from Friday Night Lights! ), a local gun store owner. If I ever start a death-metal band, you can bet your bottom dollar that I'm calling it Fester Trim. Best. Character. Name. Ever. The debate itself begins pretty much as expected. Leslie is as polished and gung-ho as ever and Bobby is charming yet completely incompetent. All things being equal, Leslie would crush Bobby in the debate and ride a wave of support to a landslide victory. But, of course, all things aren't equal and Bobby is the richest, most famous guy in Pawnee. After bumbling through a series of virtually incomprehensible talking points, Bobby pulls out his ace in the hole: If Leslie wins the election, he says, his father will be forced to move the Sweetums Candy factory to Mexico, destroying Pawnee's economy in the process. Leslie, after taking a minute or two to recover from Bobby's shocking revelation, steps back into the ring and keeps punching. If the debate story line is a steak dinner, than the B and C stories are like the delicious dessert that you can't help but want to eat before the main course. As much as I loved Leslie in this episode, I loved Andy (Chris Pratt) even more. The awkward Chris (Rob Lowe)/Anne (Rashida Jones)/ Tom (Aziz Ansari) love triangle was great, but Andy's bits were pure gold. The Andy character might be a bit one-note at times, but that single note is enough to blow your eardrums out. Pratt is a comedic force of nature. Andy and April (Aubrey Plaza) host a fundraising dinner at their home and plan to watch the debate live on TV with a group of Leslie supporters. Why Lelsie would want the fundraiser at Andy's place and not Donna's lake house is a bit questionable, especially when Andy's cable is shut off right before the debate due to lack of payment. Andy, always the showman, takes it upon himself to entertain the crowd gathered in his living room with one-man reenactments of his favorite films. Watching Andy do scenes from Roadhouse, Babe, and Rambo is a dream come true. I don't think I've laughed at anything on TV this year as hard as when Andy celebrates Leslie's killer closing statement by side-kicking his flat screen. Brilliant.